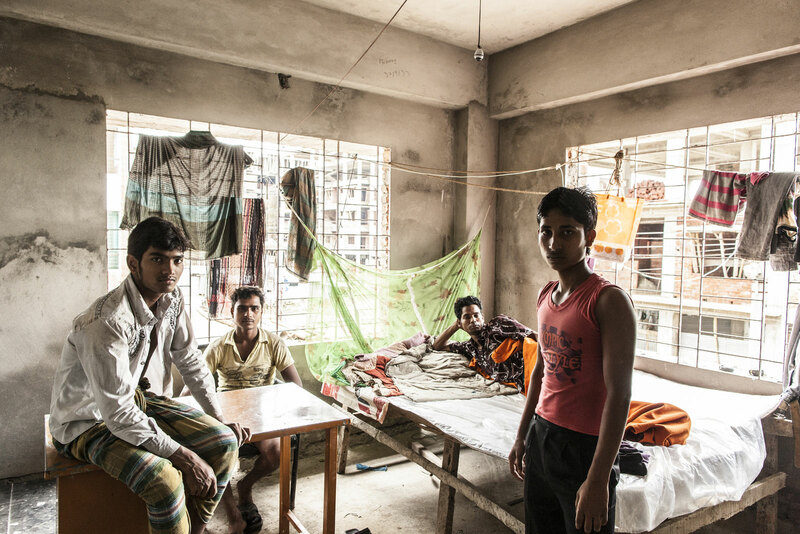 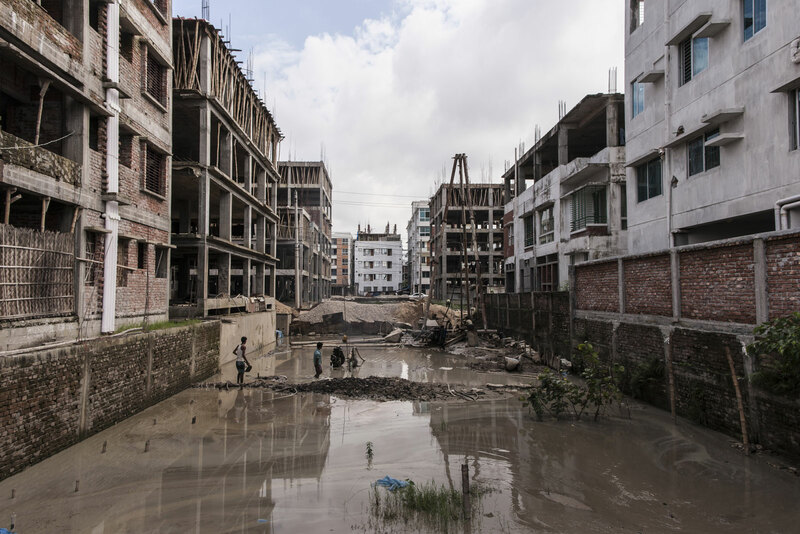 Bangladesh is one of the most densely populated countries in the world, and the demand for housing is high. 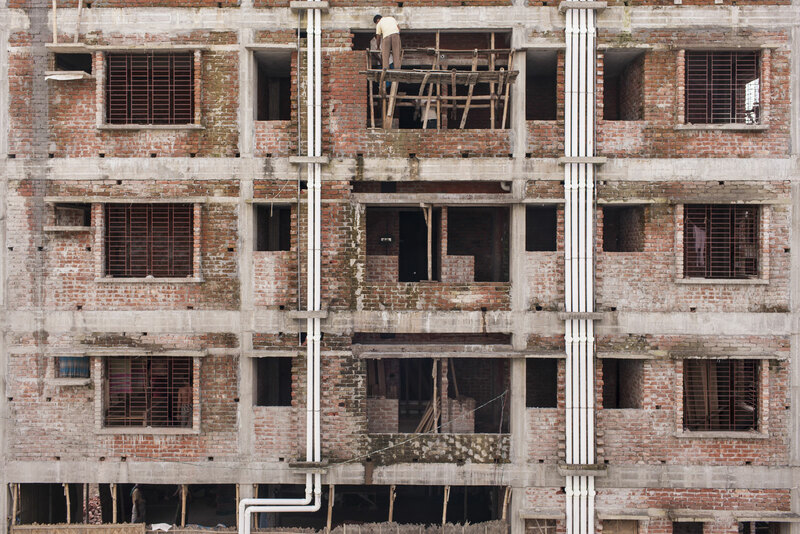 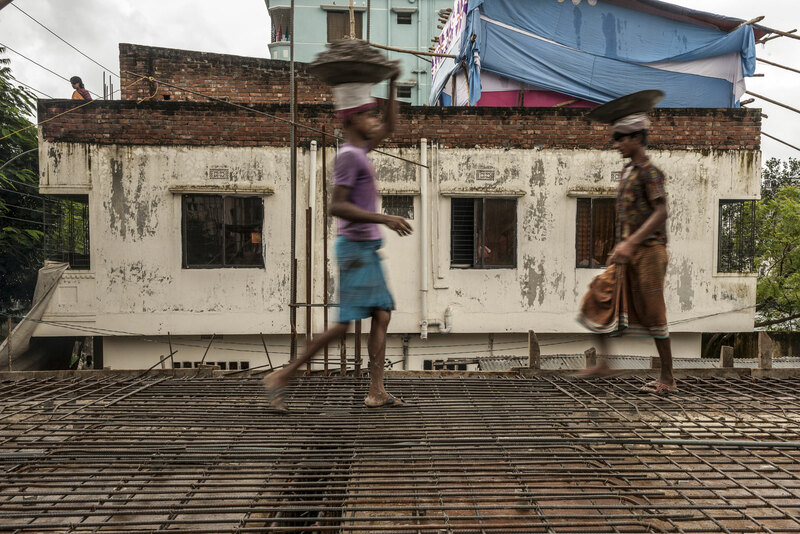 Wherever you look in Dhaka there are construction sites. 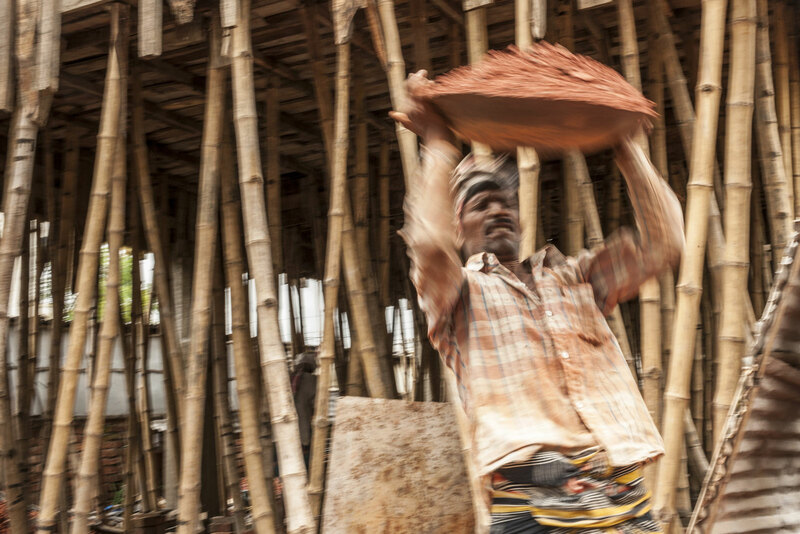 The work is hard and much of it is done by hand. 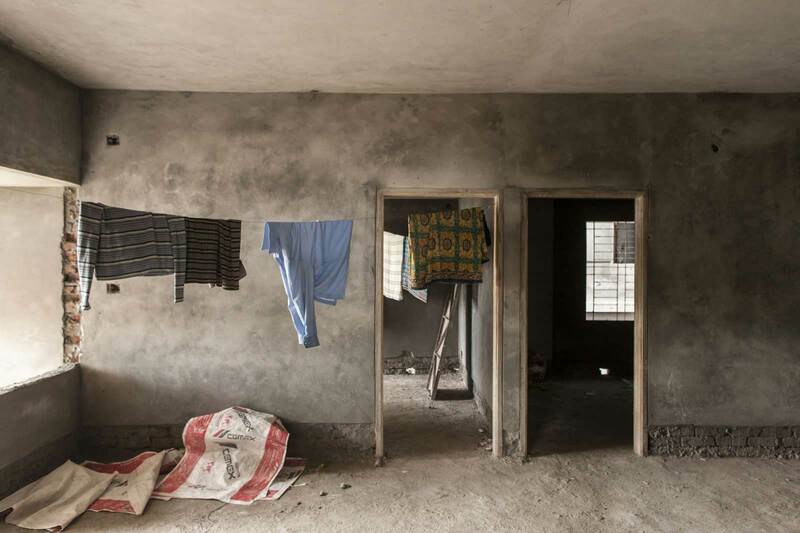 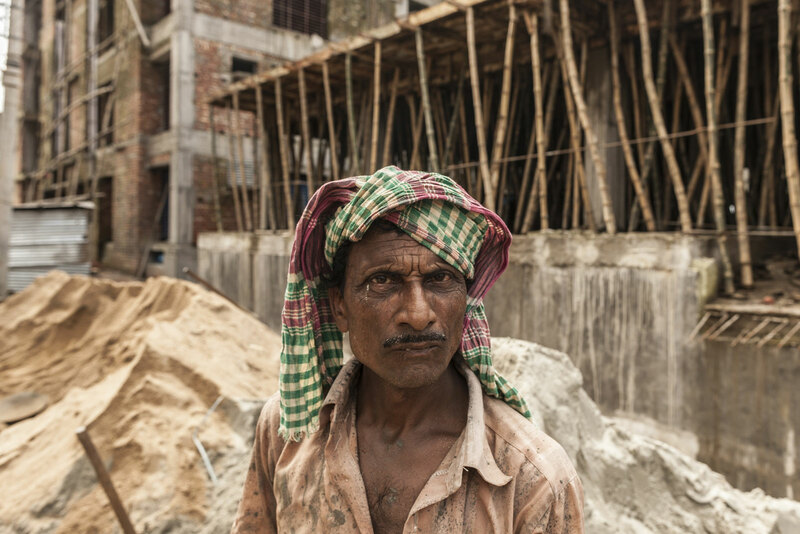 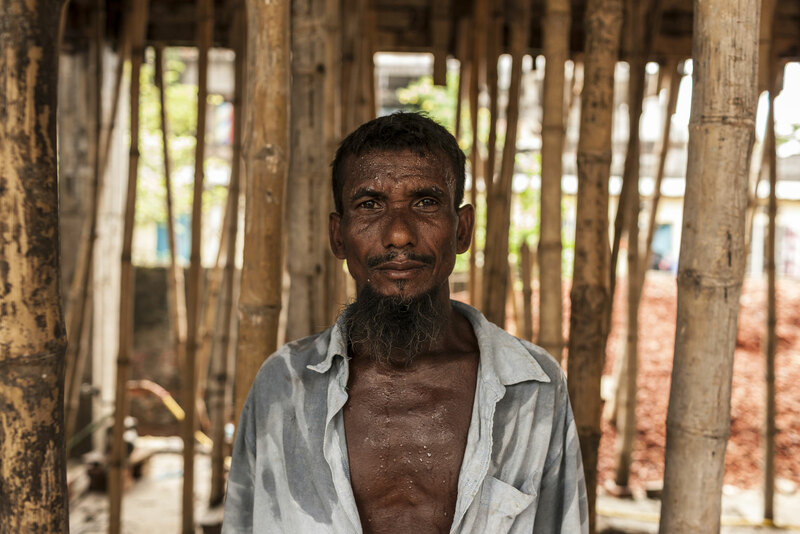 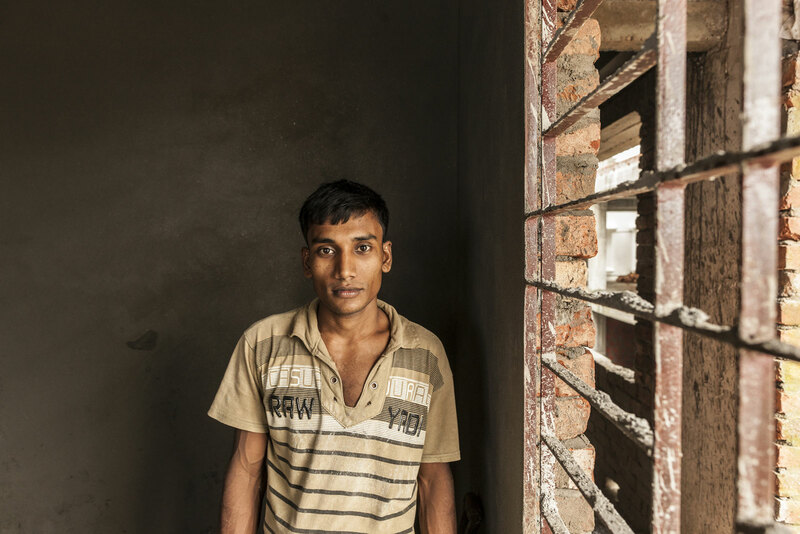 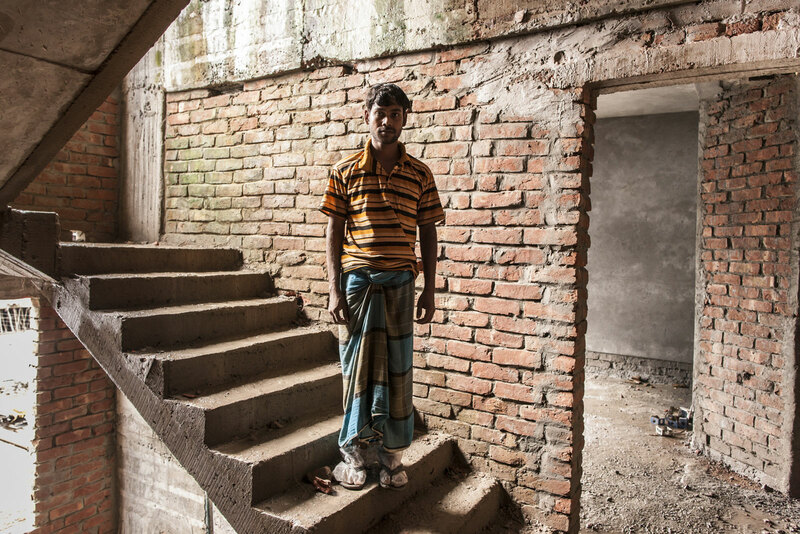 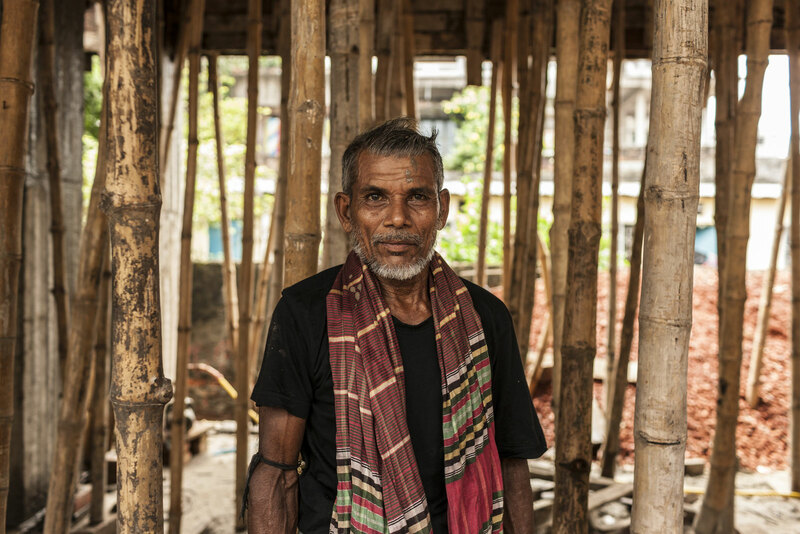 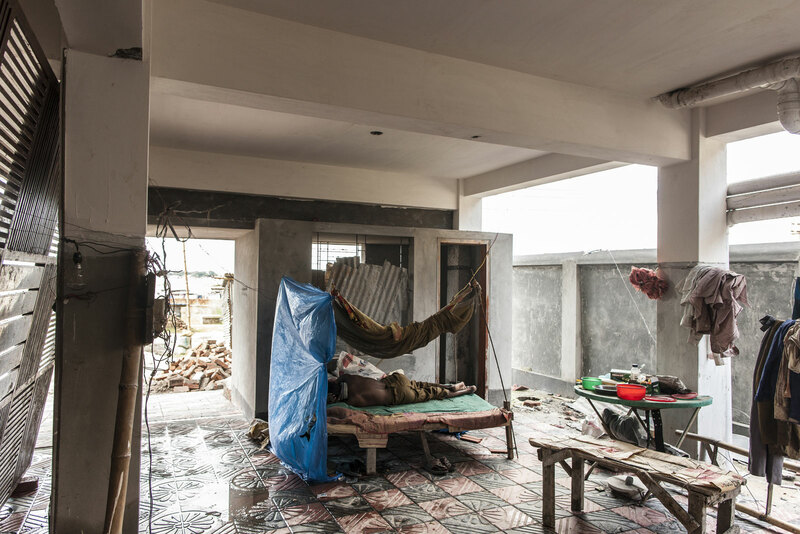 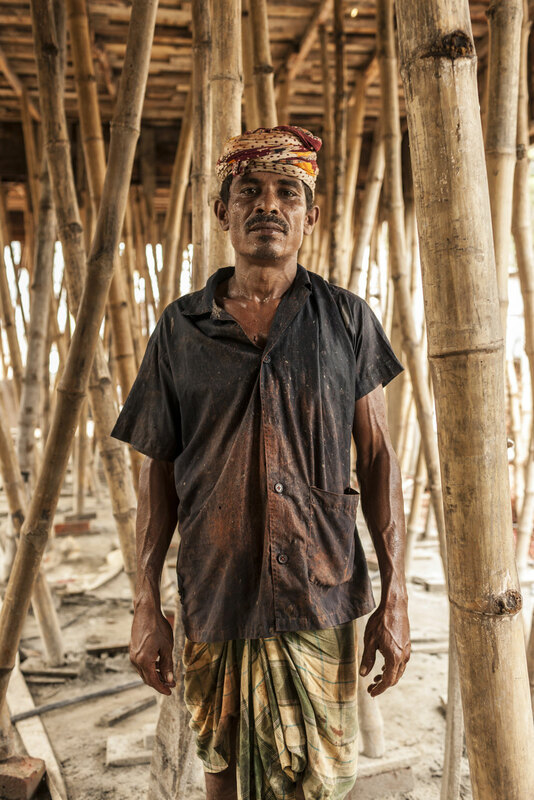 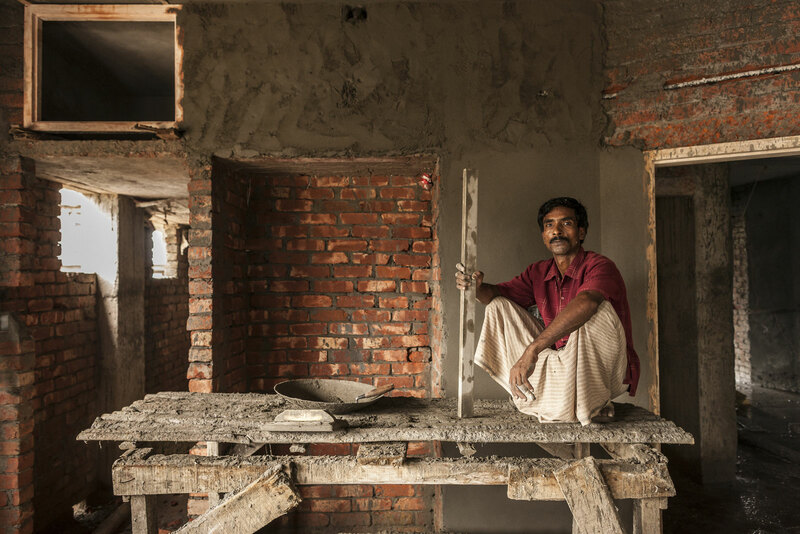 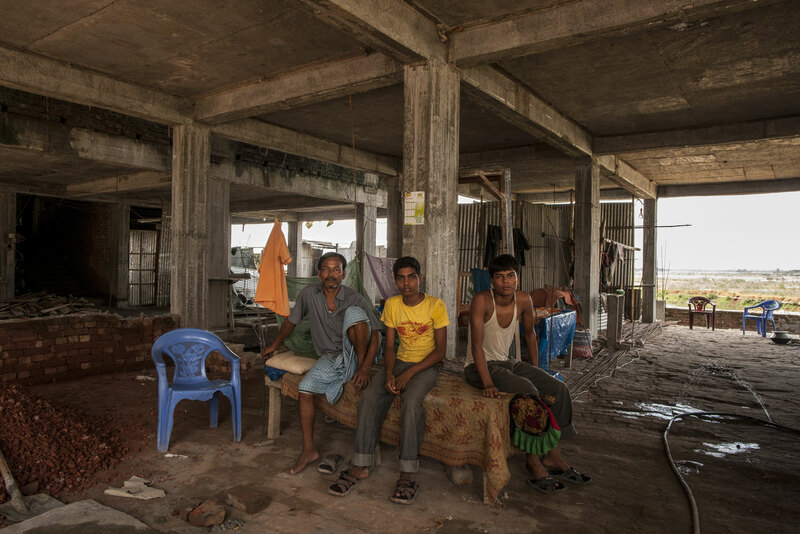 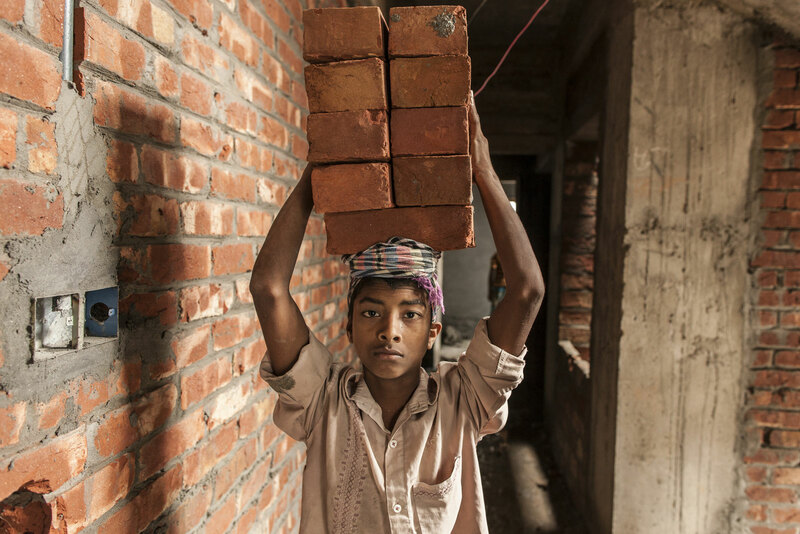 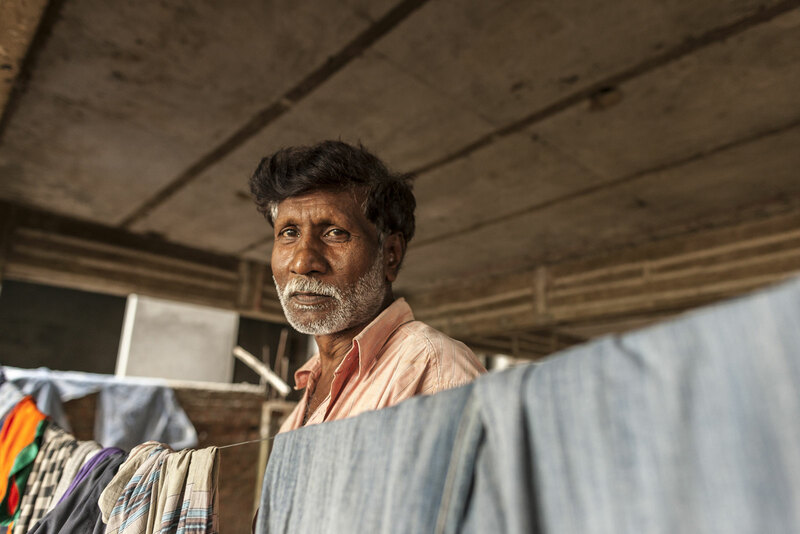 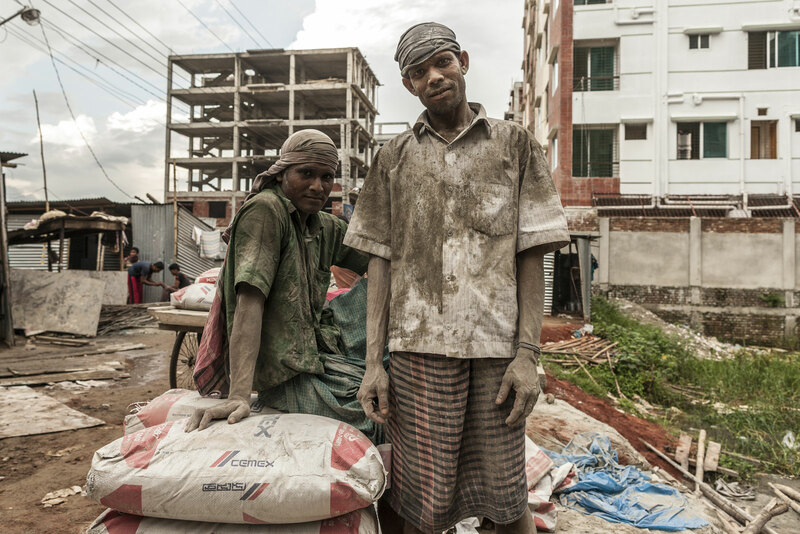 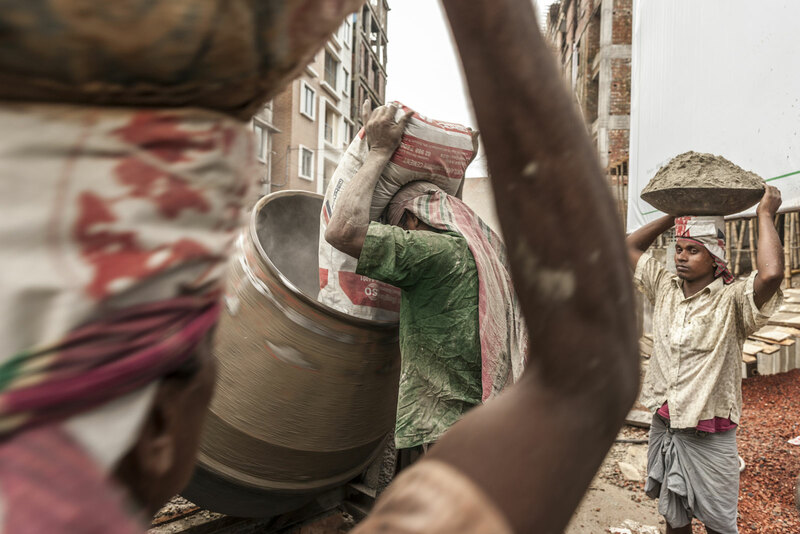 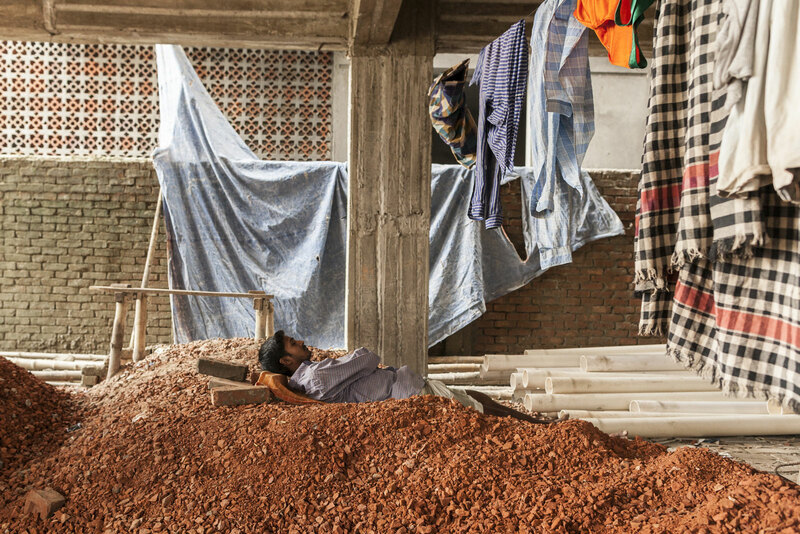 The men eat, sleep, wash and work at the construction sites for up to three months at a time before moving on to the next while the newly rich middle classes move into the homes they just finished.